I’ve been sitting on this apricot quinoa granola recipe for wayyy too long, especially considering how good it is! Thanks to the gentle urging of some recent houseguests (thanks guys! ), I’ve dusted off the recipe and have it ready to share on the blog! It’s no secret that I’m a huge homemade granola fan. This recipe is unique because it has quinoa in it! When I think of quinoa, I think of a superfood that makes for a perfect summer salad dish or as a substitute for rice to make a dish healthier. When I was browsing the bulk granola section at my local co-op (where I get many of my granola inspirations), I noticed quinoa in a mix and new I had to try it! I have to say I was really pleased with the results. 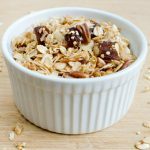 It’s a great way to add healthy protein to your breakfast and it adds a really interesting crunch. 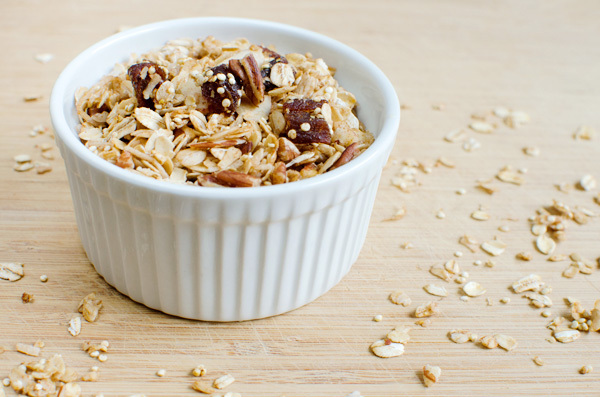 Combine and mix the oats, quinoa, pecans, salt, apricots, and cinnamon in a large bowl. Bake on a parchment-lined baking sheet for 20 minutes at 325F. Stir once halfway. Sprinkle coconut over and return to oven for 5 minutes. Remove from oven and allow to cool on baking sheet. 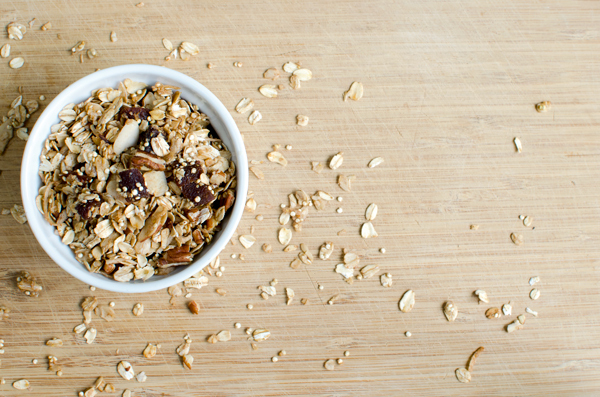 To create clusters in your granola, when it is still warm, press handfuls of granola gently together. 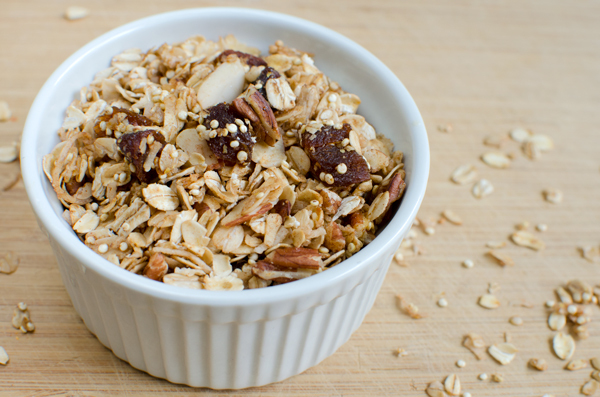 As with all of my granola recipes, this recipe is completely customizable and flexible! Swap our your favorite nut instead of pecans, or use a different dried fruit than apricot. I’m always changing the recipe based on what I have around the house!